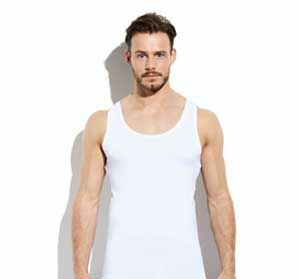 At our online web shop, men can buy the softest bamboo underwear with a brilliant fit and of the highest quality. If you wear Bamigo, then you can be assured of that! We will give you a great service and the best prices. Apart from the amazing points mentioned above, we are 100% committed to the quality and comfort of our products. All in all, bamboo is the best alternative to conventional textiles! Our T-shirts, long sleeve T-shirts, tank tops and singlets are available in the basic colours black and white, and with three different types of neckline: a round neck, a V-neck and a deep V-neck. The T-shirt with the deep V-neck is not only available in black and white, but also in the invisible khaki colour. This is completely invisible underneath your shirt and therefore appropriate as an undershirt. 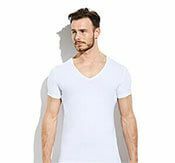 On top of all that, all T-shirts, long sleeve T-shirts, tank tops, singlets, boxer shorts, hipsters, and briefs fit perfectly due to their Slim Fit design. All our T-shirts, long sleeve T-shirts, tank tops, singlets, boxer shorts, hipsters and briefs are Slim Fit. When wearing one of Bamigo's products you will notice how they fit your body perfectly. This is because our T-shirts, long sleeve t-shirts, tank tops, singlets, boxer shorts, hipsters and briefs follow the shape of your body. The opposite of Slim Fit is Regular Fit, which hangs much wider (straighter model). Slim Fit clothing tends to look slimmer than the straighter models. Bamigo only stocks Slim Fit clothing in our product range. When you order Bamigo, you can count on a reliable and fast delivery! We can promise you this because we always have plenty of our exquisite products in stock. Excellent news, because it means you can enjoy the softest undergarments almost immediately after your purchase. Long sleeve T-shirts are delivered individually. 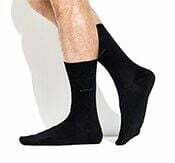 T-shirts, tank tops, singlets, boxer shorts and short boxer shorts are delivered in packs of two and a box of socks and briefs consists of no less than three pairs. Once you have found your desired product you can check the product page to see if it's in stock. Occasionally, it happens that products are not in stock for a short while because they are very popular. You can find the estimated delivery time on the product page of the product. Having trouble? Keep Cool, just give us a call on 0044 1604 300121. Our customer service amigos are available to help you on workdays between 8.00 AM and 10.00 PM.